The La Quinta Inn and Suites-Atlanta Conyers is east of Atlanta, only minutes from the Georgia International Horse Park we are host hotel for all area horse shows, including Bob Bell Classics. We also host RYSA field events for Atlanta Cup Soccer. Our location is convenient for visitors to Acuity (Lithonia) Lighting, John Deere, CR Bard, and Georgia Power. 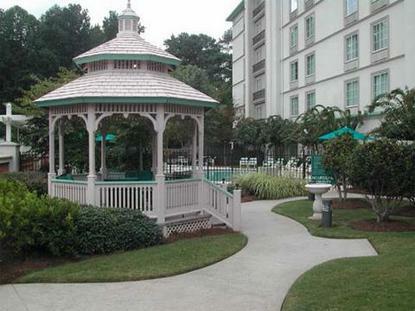 Visit historic downtown Conyers play the nearby Arnold Palmer Championship Golf Course.